Martin Tibenský took up fencing in 1999. With Anton Kohutovič he co-founded a group called Trnavský šermiarsky cech (Fencing guild of Trnava, TSC). Since 2001 this group has been specializing in long sword fencing according to Lichtenawer tradition. When it started, TSC was the first HEMA (Historical European Martial Arts) group in the region of Slovakia and the Czech Republic. In the following years Martin was intensely training under Anton Kohutovič and working as an assistant trainer. 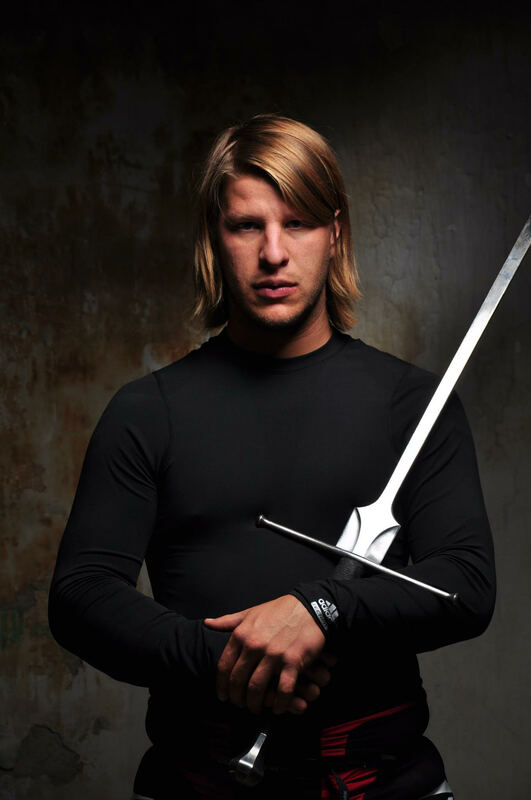 In 2013 Martin founded the first Slovak permanent school of fencing under the name of Pugiles. Today the school encompasses 50 fencers and is thus the largest HEMA club in Slovakia. He is the head trainer of the school. In 2015 he took part in the creation of the Slovak Federation of Historical Martial Arts FEBUS, where his main role was to develop training methodologies. In addition to HEMA Martin is also professionally involved in stage fencing as well as jousting.